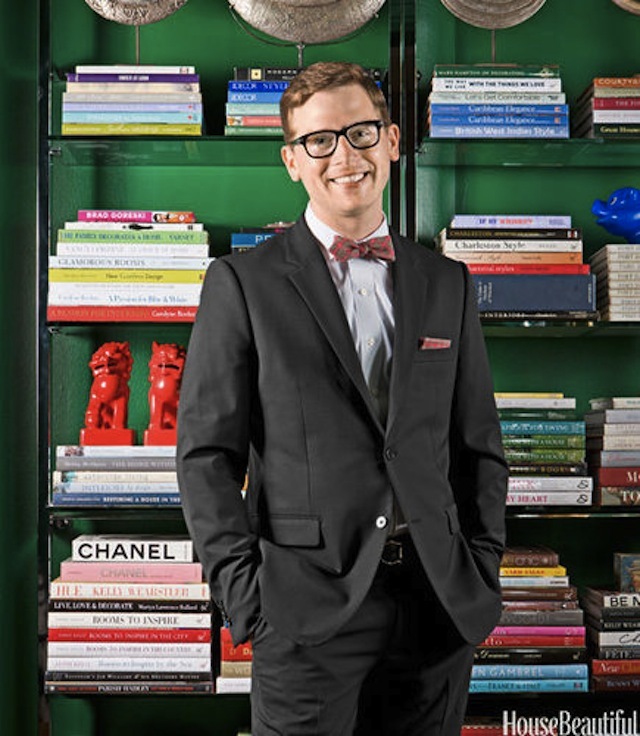 Somehow over the holidays I missed House Beautiful's feature on Matthew Bees, and his charming studio apartment in emerald green. I wanted to share some shots of his jewel-box home, not least because I have a thing for green studio apartments, but also because he has some great ideas for organizing small spaces, as shared by Curbed HERE. Bees' work couldn't be more timely - not only because Pantone has just anointed green the color of 2013, but because New Year's is the time for fresh, well-organized starts. Rubbermaid and the hosiery industry are essentially in the same business each January: here to help you hide away all those extra pounds. DRAMA. One glance at this masterpiece of theatricality, and you'd guess there's an entire manor house to go with it. Instead, the mirror is crowning a 350-square-foot apartment. Edit, edit, edit. Even in the photos, you can feel how small this space is, but Bees' use of symmetry and matched objects isn't rigid, but freeing - it gives a sense of place and order. A banquet-like corner is carved out of a well-placed screen, concealing the bed, and a table that's both for dining and coffee. Hanging art on room dividers is one of my favorite tricks; it gives a screen or bookcase instant credibility. "Hey!" it says. "I have a picture hanging on me! I must be a wall!" A man and his (foo) dog. Are those the red ones from C. Wonder? This instantly reminded me of your apartment! 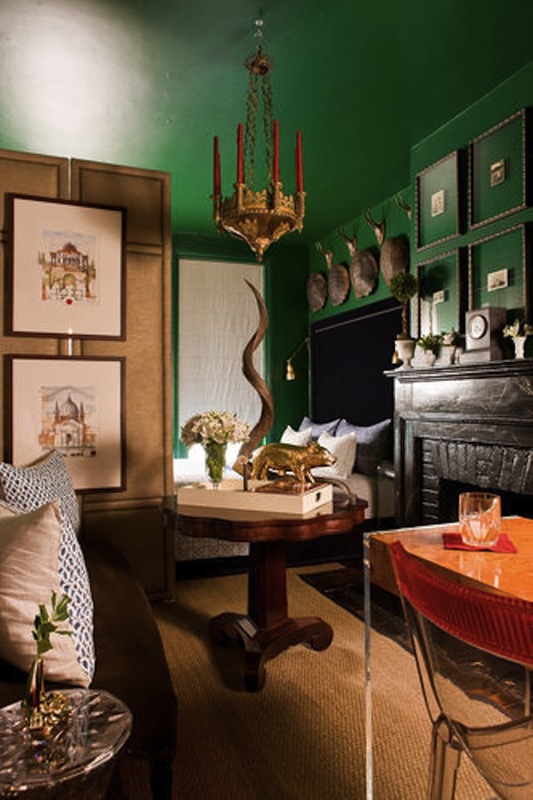 I am loving all things emerald right now and this little space certainly packs a very stylish punch! Love all those stacks of books! Very well done! It is the right green. 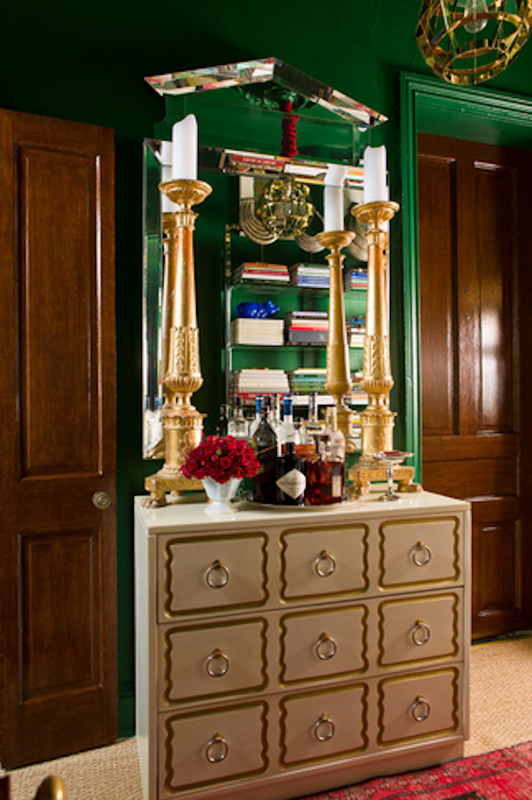 Green is a tough color and his use of this one in this space is great! Think he'd let me house sit? It really looks awesome Matt.